You’ll find yourself running the rat race everyday? You think, it’s time to leave your environment and bring your life to the next level? Well, don’t worry, this game lets you’ll find something special: it has the key to some fun. So run no further and follow me! Dude, where’s my car key? 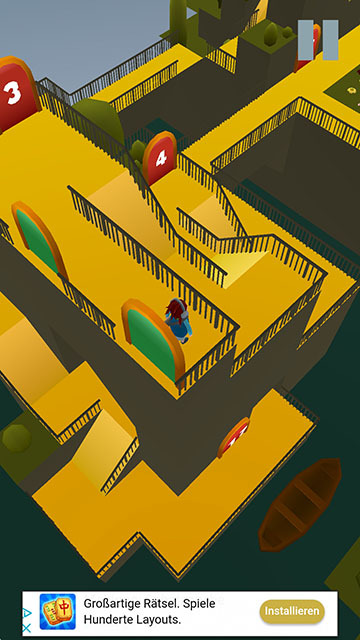 In this app, you’ll try to find a way out of the world of rotating mazes. Your character needs to find the key – and the door – to unlock the gate and go further. It does sound easy but it gets quite challenging as you proceed. 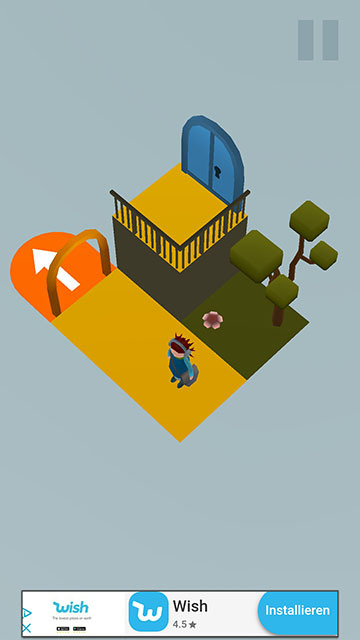 The graphics are rather simple, which is great in my opinion as it lets you focus on the level itself. It still has enough details to help you remember landmarks or reference points respectively while you try to find the exit. The colors are bold and contrasting. Lastly, I like the sound design of the game. The sound effects and the music(?) are fitting for the game environment. While it is fun to explore the game on your own, I think some introductions would be necessary and helpful. For example, you’ll find little stones that look like Konpeito candy, but you don’t know what to do with it or how much you’ve collected. And while the controls are not hard to understand, it was a bit unfamiliar or odd to get used to them. Another suggestion is the introductions of hints. Somehow I’d rarely had trouble finding the keys, but finding the doors… that is another, sometimes frustrating, story. It would be great to get some hints (maybe by collecting a specific amount of sugar candies?) to unlock them! The last suggestions I would like to add it the mute option. Even though I like the sounds, I would like it even more to mute them whenever I need to. Unlocking new levels is fun! While this game is not the end of the rat race, it definitely brings you some joy and is something to puzzle over. Download it here. Susann is the founder and CEO of Daikon Media and a passionate mobile gaming expert.